Bison Nicole Konieczny (#10) drives up and into defending Vikes guard Aleah Ashlee (#8) for the shot on Saturday, Jan. 13, at the Investors Group Athletic Centre. Photo by Joe Oczerklewicz. This weekend, the Bison women’s basketball team played in their first playoff game since 2009. Despite falling 82-71 to the University of Alberta Pandas in Edmonton, the fact the Bisons made it to the post season is an accomplishment in itself. After years mired in obscurity, the Bisons clinched a playoff berth on Feb. 2 against the Fraser Valley Cascades in a 79-74 overtime win. After that final buzzer went, it was a feeling of relief for Bison head coach Michele Sung. “I always believed in this group,” she said. Making the playoffs helps inject a bit of life into this Bison program that only combined for six wins in the past three seasons. This season, the Bisons finished in eleventh with a 9-11 record, despite starting the year off with a 0-5 record. Manitoba turned it around before the break, winning seven of their last eight games. 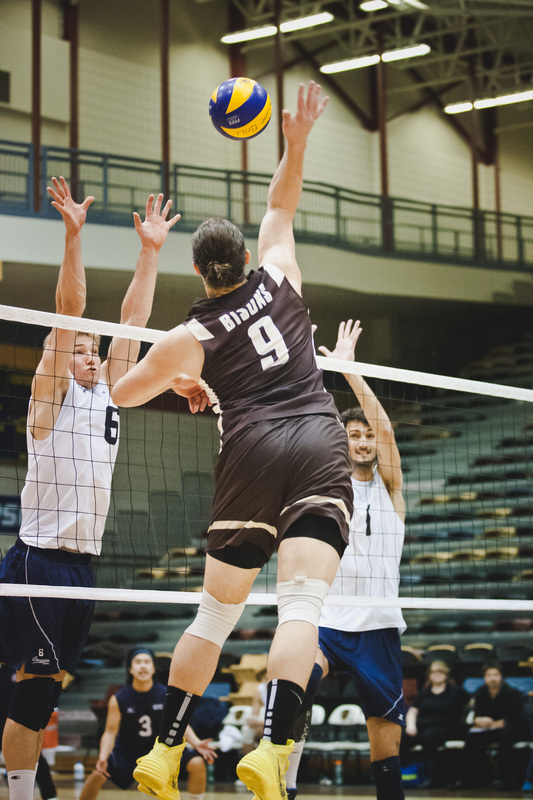 After sweeping the University of Lethbridge Pronghorns to start off 2018, the Bisons slipped up, dropping four straight before their overtime win against the Cascades. It was a series at home in early November against powerhouses the University of Regina Cougars that seemingly ignited the fire in Manitoba’s season. After being blown out 85-48 on a Friday night, Manitoba lost 72-69 in the Saturday rematch. “I think it was definitely a turning point and I think it goes to show on any given night any team can win. I know that’s a little cliché but it’s really how our league is,” said Nicole Konieczny, the third-year guard who finished with 24 points in Manitoba’s loss to Alberta. 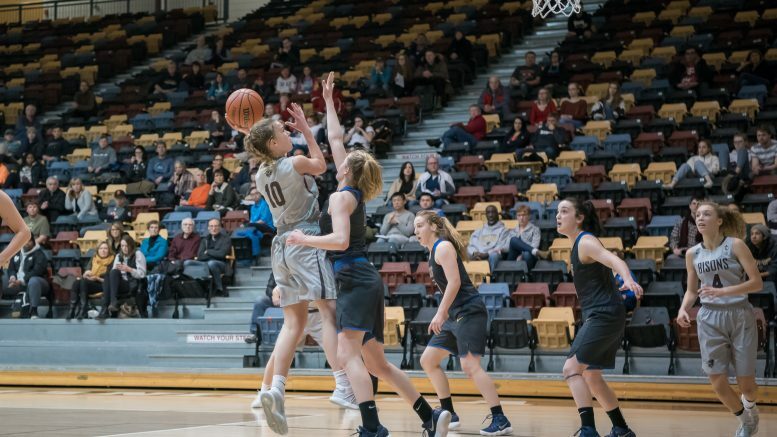 Konieczny was an offensive catalyst for Manitoba all season, a highlight of her season being a 41 point performance in an 82-59 win over Lethbridge on Jan. 6. Konieczny said the support group for the Bisons was key this season. Taylor Randall, a second-year guard who finished with 14 points, three assists, and three rebounds in the loss on Friday said it was nice to see their hard work come to fruition, but the team had confidence they could make the post season.